With more than 25 incredible options to experience the unique flavour of the Bay of Quinte Region, we’re confident that you’ll find your next favourite beer or cider right here. 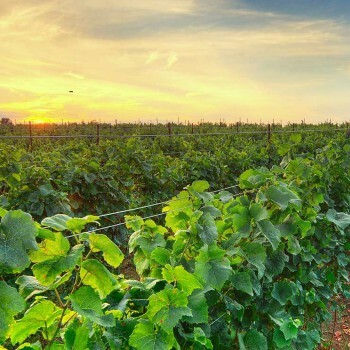 The Bay of Quinte is home to Canada’s largest rural craft beer and cider region. In February 2017, local brewers came together to form a new initiative to help promote local beers and ciders, making local and national news. We began our work with Bay of Quinte Craft by developing their brand and logo. 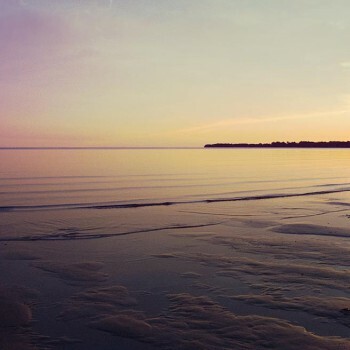 One thing that makes Bay of Quinte brewers special is that a lot of the ingredients are grown locally, and so we wanted to make sure that the branding and logo communicated the feel of the region, with the connection between the land and the water. Additionally, we wanted to make sure that the logo itself could be used in a variety of applications, including on non-traditional like beer caps, coasters, decals and more. The final product was a smash hit among the brewers and their customers alike. 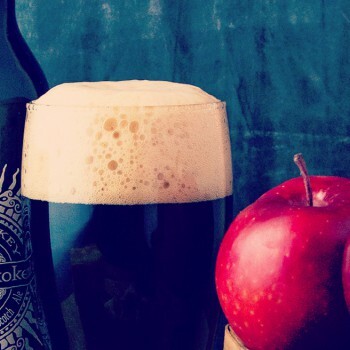 The rise in popularity of craft beer and ciders has driven an increased interest in visiting the breweries themselves. 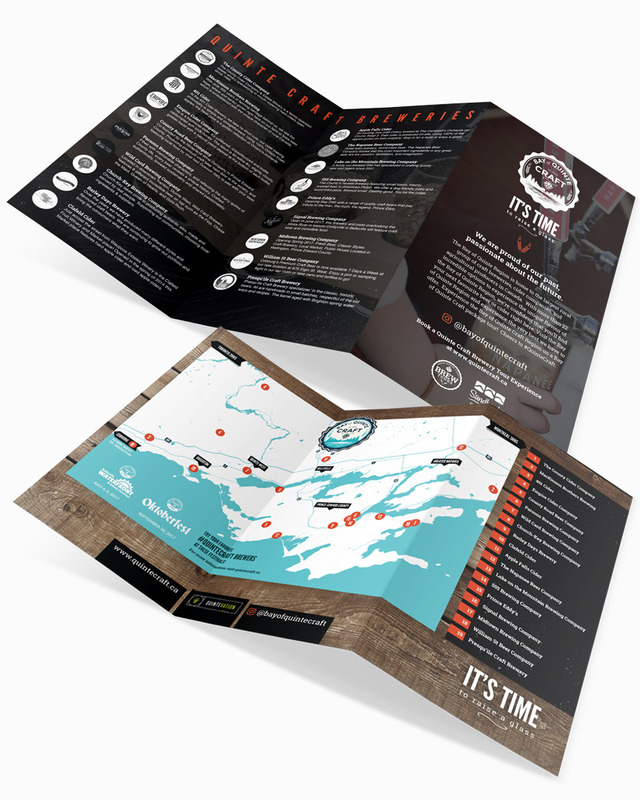 The brewery map we designed helps locals and tourists organize their own craft beer and cider tours, promoting the breweries and the Bay of Quinte region as a unique destination. Websites remain the ultimate marketing hub. 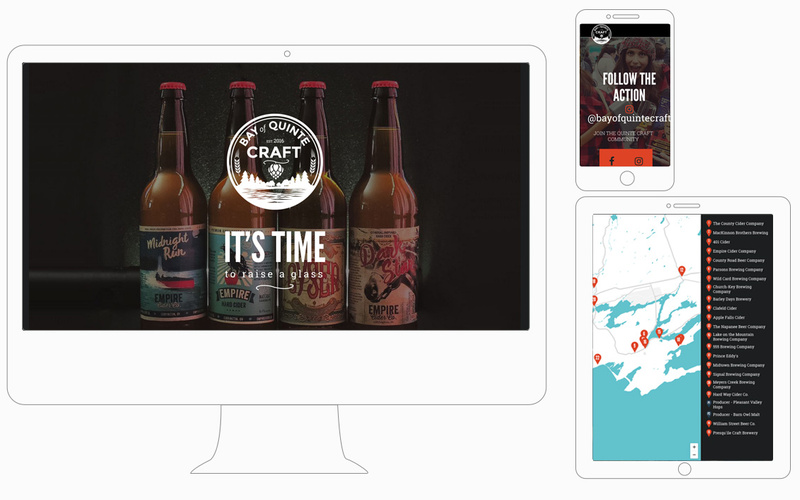 For Bay of Quinte Craft, we designed a dynamic website that promotes local craft breweries in a several ways. 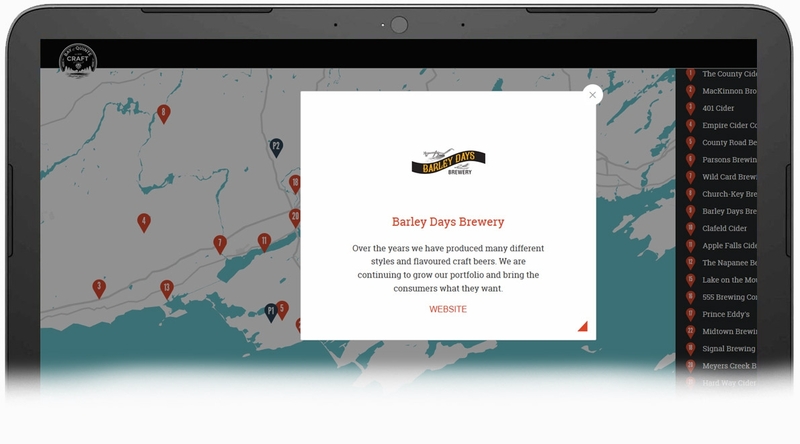 The interactive map let’s visitors browse all of the region’s breweries, with each brewery having their own logo, description and website link. Once visitors arrive on the site, their engagement is capitalized by encouraging them to take the next step. Keen fans can book a local tour, and anyone interested in local brews can sign up for the email newsletter to stay in touch. 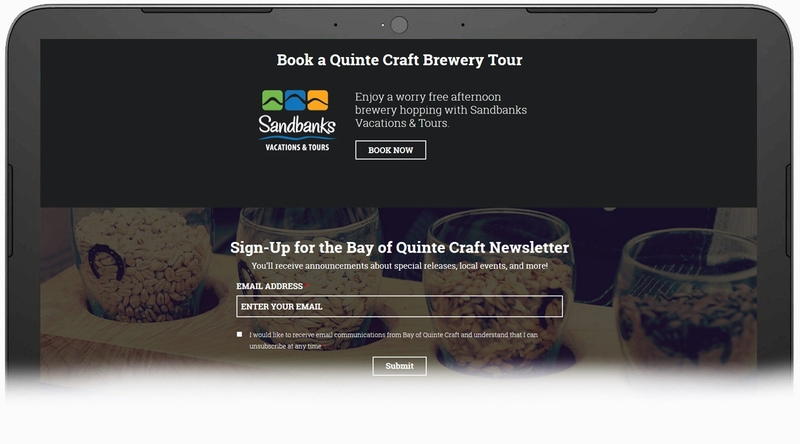 This enables Quinte Craft to nurture the relationship with their fans and promote news and events. They have received over 300 new subscribers in the first few months alone! Social media is a critical element of Bay of Quinte Craft’s marketing campaign. 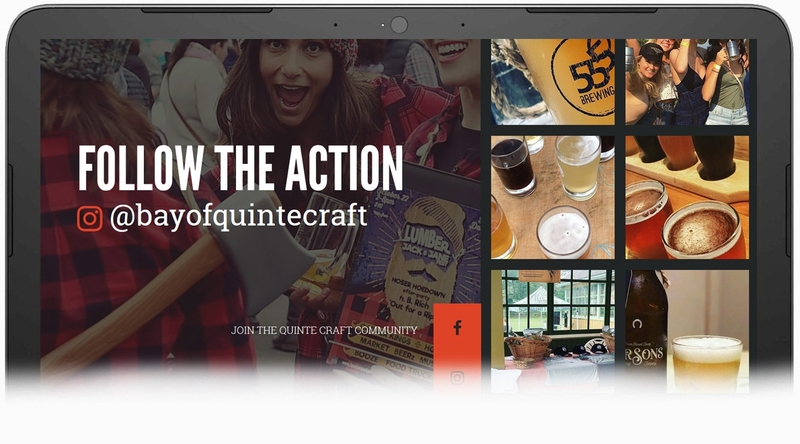 We made sure it was properly integrated into the website, with a dynamic Instagram feed that automatically updates with new photos, as well as a prominent invitation to join Quinte Craft on Facebook and Instragram to stay up to date. In the first few months since launch, they have amassed an Instagram following of over 5,000 fans! The branding and marketing of this new association have been a massive success. New events have been attracting lots of fans; their newsletter subscriptions and social media followings have swelled. We’re looking forward to continue supporting Bay of Quinte crafts marketing and communications activities as they continue to grow and thrive!